The Wind Is Not a River is Brian Payton's gripping tale of survival and an epic love story in which a husband and wife - separated by the only battle of World War II to take place on American soil - fight to reunite in Alaska's starkly beautiful Aleutian Islands. While John is accompanying a crew on a bombing run, his plane is shot down over the island of Attu. He survives only to find himself exposed to a harsh and unforgiving wilderness, known as "the birthplace of winds." There, John must battle the elements, starvation, and his own remorse while evading discovery by the Japanese. 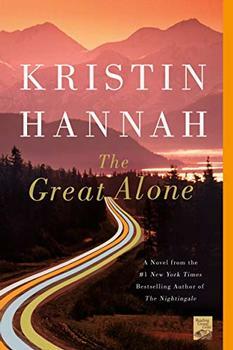 Alone at home, Helen struggles with the burden of her husband's disappearance. Caught in extraordinary circumstances, in this new world of the missing, she is forced to reimagine who she is - and what she is capable of doing. Somehow, she must find John and bring him home, a quest that takes her into the farthest reaches of the war, beyond the safety of everything she knows. When John Easley opens his eyes to the midday sky his life does not pass before him. He sees instead a seamless sheet of sky gone gray from far too many washings. He blinks twice, then focuses on the tiny black specks drifting across the clouds. They pass through his field of vision wherever he turns to look. Last winter, the doctor pronounced them floaters. Said that by Easley's age, thirty-eight, plenty of people had them. Little bits of the eyeball's interior lining had come free and were swimming inside the jelly. What Easley actually sees are not the specks themselves, but the shadows they cast as they pass over his retina. To avoid their distraction, the doctor advised him to refrain from staring at a blank page, the sky, or snow. These are his first conscious thoughts on the island of Attu. The Wind Is Not a River will likely spark readers' interest in a remote part of the world and in a little-known chapter of World War II history even as it tells a memorable story about the power of love and the will to survive. (Reviewed by Norah Piehl). Payton has delivered a richly detailed, vividly resonant chronicle of war's effect on ordinary people's lives. Through a narrative strategy that alternates chapters between John's plight and Helen's search, Payton effectively gives the reader two visions - and two versions - of a neglected aspect of World War II. Starred Review. As a nearly lifelong inhabitant of Alaska and having spent three years on Adak in the Aleutians, this reviewer was particularly gratified by the accuracy of the author's portrayal of the land and people of the 'birthplace of the winds.' Bravo! What a great-hearted, beautifully written, and utterly riveting novel. It has a power that brings to mind the old Greek stories of war, love, and journey. Not since Cold Mountain have I read such a brilliantly sustained metaphor for our collective guilt and grief, nor such a stirring testament to the redemptive power of love. We need this novel now. Beautifully written, lyrical and elegiac, The Wind Is Not A River is a novel you must read…John Easley's struggle to survive and his wife Helen's struggle to find him form the most triumphant and heartbreaking love story I've read in years. In The Wind Is Not A River, the protagonist, journalist John Easley, finds himself on the Aleutian island of Attu in April 1943, when the Battle of the Aleutian Islands is taking place.